Spine of Eldersblood is a rare Endurance creature card. It is part of the Heroes of Skyrim expansion. 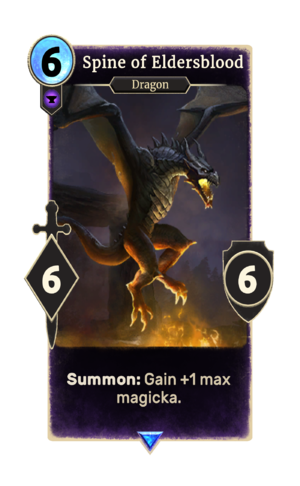 This card is named after Eldersblood Peak from Skyrim.